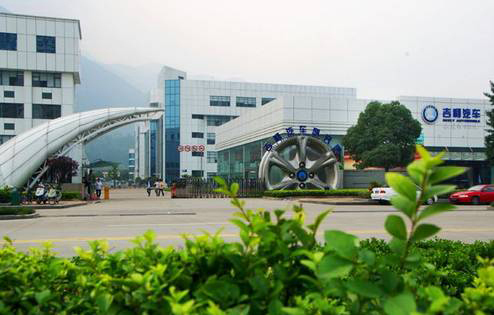 Established in 1986, Zhejiang Geely Holdings Group began to be engaged in automobile industry in 1997. After years of devotion to business, technical innovation and talent cultivation, it has grown rapidly. With the current asset of over 100 billion CNY in total, this company has been ranked among the top 500 enterprises of China for successive 10 years, among the top 10 automobile enterprises of China for successive 8 years. It is honored as the innovative enterprise and the national export base of motor vehicle. In July 2012, Geely Holdings Group ranks among the Global Fortune 500 based on its total sales revenue of 23.3557 billion USD. It is only one privately operated automobile enterprise of China gets such position. In the trials of Geely methanol-fueled car, technicians have to frequently observe and get the images of the cylinder, air valve, fuel pipe and other parts about the situations of abrasion and carbon deposition, supplying documents for design and repair of the car. We can get the external verification of the methanol engine but can’t learn about the carbon deposition at the back of the inlet and exhaust valves, as well as the interior situation of the cylinder. 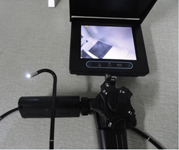 After the deep communication with Geely, our technicians recommend the portable HV series of endoscope suitable for automobile. With the lightweight design, this product adopts the high definition electronic camera microchip on the head. 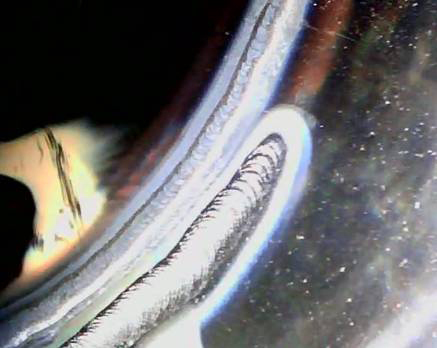 Aided with the rear automatic correction unit for images, it shows the real wear situations inside the cylinder. The double layered woven tungsten filament on the detector is affluent to resist tens of thousands of times of abrasion actions. The glossy cold light source on the head makes use that the image looks distinct and bright. Our product acts successfully in assisting the trials of methanol-fueled car. Customer: Shanxi Coal and Chemical Industry Group Co., Ltd.
Shaanxi Coal and Chemical Industry Group Co., Ltd. has a large amount of equipment requiring maintenance and repair. 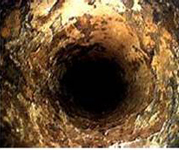 Detect the defects on the surface, such as crack, peeled coating, wire bracing problem, scratch, pits and pumps, dot, corrosive parts, etc. Inspect the residual dust, exotic objects and other unnecessary substances in the cavity of devices. In the detection of pipeline for conveying corrosive substance, our PV series of endoscope plays an important role of offering distinct image, durable and simple operation. The camera detector is covered by 10m double layered tungsten filament woven net, capable of bearing serious abrasion. The large power LED on the head makes use of optical fiber transmission technology, significantly expanding the viewing distance. The entire detector is waterproof and corrosion resistant. It eliminates the security problems of the pipeline for many times, ensuring the safe production. 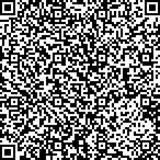 Customer: Shanghai Zhengfan Scientific Co., Ltd.
Shanghai Zhengfan Scientific Co., Ltd. is established by Gen Tech Co., Ltd. of America in China. It has a long history of serving the semiconductor microelectronics, pharmaceutical and biological engineering, new energy, new material and other rapidly developed high-tech industries. It is engaged in the transmission equipment of medium with super high technology, the technology oriented system assembly and project contracting service. Inspect the cracks, incompletely welded part, welding leakage and other defects. The product is used to make endoscopic detection on some devices according to the technical demands after work. Inspect the residual dust, exotic objects and other unnecessary substances in the cavity of devices. This PVC60 machine is light and exquisite. With the 6mm large power LED mounted on the head via optical fiber transmission, it extends the viewing distance. Configured with 5 inch high definition glossy LCD, the product gets the realistic image of the inner pipe presented, improving the efficiency of repair and maintenance on production equipment for customers.